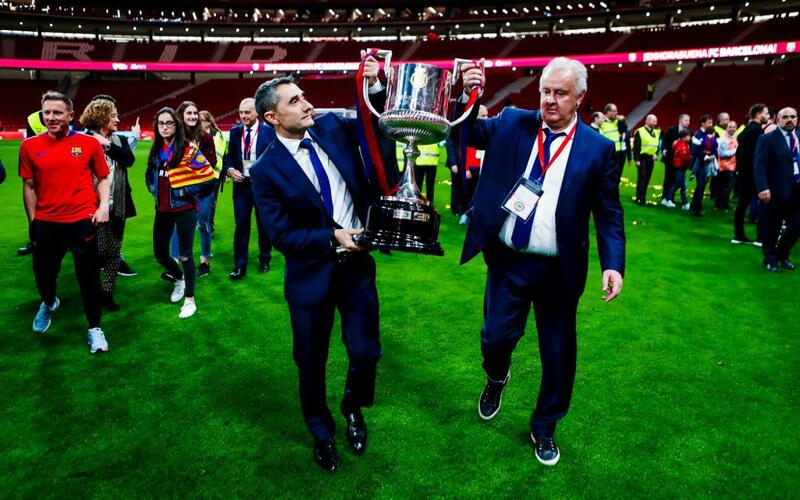 Barça’s 5-0 win over Sevilla was not only Ernesto Valverde’s first title since joining the Club last summer, it also allowed him to join a select group of men who have won the Copa del Rey both as Barça players and as Barça coaches. Valverde won the Copa del Rey as a player back in 1990, when Barça’s coach was JohanCruyff. Interestingly, that win for Cruyff put him into the same group, some 12 years after the Dutchman had led the team to the 1978 Copa del Rey as its star player. Another pair with Copa del Rey championship connections are PepGuardiola and LuisEnrique, who won back-to-back Cups together as players in the late 1990s before going on to win again, independently, as coaches.